You have finally booked your long-awaited vacation to the beautiful island of St.Lucia. Now it is time to look for where you would like to stay on the island. Accommodation can become a bit pricey whiles traveling. Most people really don’t want to do the all-inclusive touristy stay. You want to be able to explore the island, rent a car, and see the island like the locals do. The best way to do so is by staying at an Airbnb in St.Lucia. I have come up with a list of the best Airbnb’s on the island. Feel free to choose from any one of them and let me know what you think of your stay. The La Haut Resort is located in the town of Soufriere. It was originally a coconut and cocoa plantation. This small and cozy private Airbnb in St.Lucia is close to many amenities in the town of Soufriere. Activities such as climbing the Gros Piton or visiting the only drive-through volcano in the Caribbean are close by. It is also close to many restaurants and grocery stores. There is a pool that is available for you and your party at any time. Daily housekeeping is provided so you don’t have to worry about that. Villa St. Lucia is located in the beautiful Marigot Bay. Marigot Bay is known to be the most beautiful Bay in the Caribbean. Staying at this Airbnb in St. Lucia you will get to have the most amazing view. This is a great place to stay if you are a very active traveler as there are many activities around like day sails, jungle biking, and water sports. There’s a gardener and housekeeper available to you 6 days a week. It is just a short walk to the beaches and restaurants in Marigot Bay. One piece of important information is that this villa is only accessible by ferry so its like you are on your very own island. Ti Makumbu is located in Marigot. It is a private Caribbean style complex that overlooks the beautiful gem that is Marigot Bay. 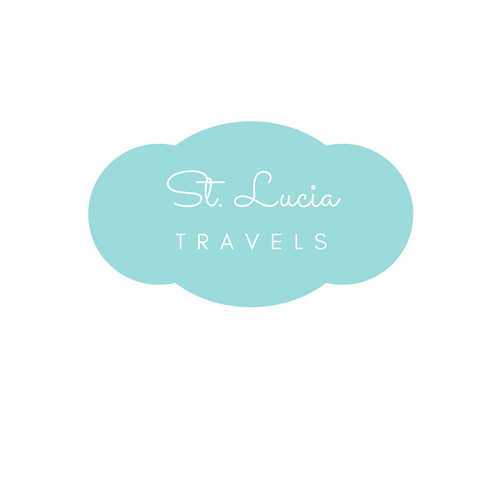 It is a great Airbnb In St.Lucia to stay if you are traveling with a group of friends or having a family trip. It can be quite difficult to get to, so hire a 4×4 is recommended. Accommodation comes with a private bathroom, a hairdryer, full access to the kitchen and many more. Apartment Soleil is located in the beautiful town of Soufriere, not too far away from all the main tourist attractions. It is 7 minutes from downtown Soufriere, where you can pick up groceries and try out many restaurants. The view from the balcony of the majestic pitons is just to die for. The host is there to help you plan your different excursions so you almost don’t have anything to worry about. Car rental service is provided upon request. The Omanette Retreat is located in the town of Praslin. It is nearby the amazing Latille waterfalls. It is a great place to stay if you are traveling as a family, going as a couple or just doing it solo. Looking for a place to host your small intimate wedding, this Airbnb in St.Lucia can offer that to you. It is great for small events and the host is always there to help you out with whatever you need. On the grounds, there is fresh fruit available for you. It is best to rent a 4×4 vehicle to make it easier to get around. Sargas is located in the town of Soufriere. Staying at this Airbnb in St. Lucia, you will have access to the entire place for you and your party. It is 12 minutes drive away from restaurants and many activities. There is a chef provided to you at your request. If you just want to be a homebody for the night Netflix is always available for you. 10% is given for private excursions with Adventure Powerhouse Real St. Lucia Tours. Villa Pierre is located in the town of Vieux Fort. This contemporary Airbnb In St. Lucia overlooks the Caribbean Sea and the famous Pitons. You can enjoy some beautiful sunsets whiles taking a dip in the pool. Because the Airbnb is off a beaten path in Vieux Fort, it is recommended to rent a vehicle, preferably a 4×4. The great thing about this Airbnb in is that is is very close to the airport so you don’t have far to travel once you get off the plane. The are many amenities around, grocery store and restaurants are walking distance from it. At the Airbnb, you have concierge and maid service included in your stay. You can also add a massage and a 5-star chef. It is also a great place to host weddings and small events. The Brigand Hill Airbnb in St. Lucia is located in the fishing village of Anse La Raye. From their reviews, it is said to be better than a hotel stay. It is very private for you and your family and friends. Having a kitchen available makes it easy to cook your own meals to save on money. There is also a chef on the grounds that is included in your stay, so you don’t have to worry about what you’re going to have for your next meal. Feel like taking a swim, this Airbnb comes with its very own private beach and complimentary snorkeling gear. So If you are looking for something away from the hotel stay this is one of the best Airbnb’s in St.Lucia to stay at. This Airbnb is located in the town of Bois D’ Orange. You and your guest will have the entire bottom floor to yourself with private access to the porch, kitchen and laundry facilities. The host lives right upstairs so they are just a call or a message away. There is also parking for up to 6 vehicles if you do decide to rent a car whiles on your vacation in St. Lucia. If you are staying on the island for a long time then this may be a place to consider since they do allow long stays. If your flight into St. Lucia arrives a bit earlier than check-in, that’s ok, you can always drop off your luggage and start an early exploration of the island. The Villa Valerie St. Lucia is located in Cap Estate, not far from Rodney Bay. It is a great place to stay as a family or if you are traveling with a group of friends. There are many things to do around the area, like a rainforest trail, snorkeling, and swimming. Because it is the only holiday village in the area, guest almost pretty much has the beach to themselves. That’s a nice quality to have. These are a list of the best Airbnb’s on the island of St. Lucia. They each have something different to offer and they are scattered around the island so you don’t have to just choose one. Depending on where you want to stay, or how long you are staying for, you can try them all. Please feel free to leave a review of any of these Airbnb’s or tell us if you think we missed one. Can’t wait to hear from you. Enjoy our island because we sure do!! !